"Thank you for your generous donation of tower space for the amateur radio repeater system. 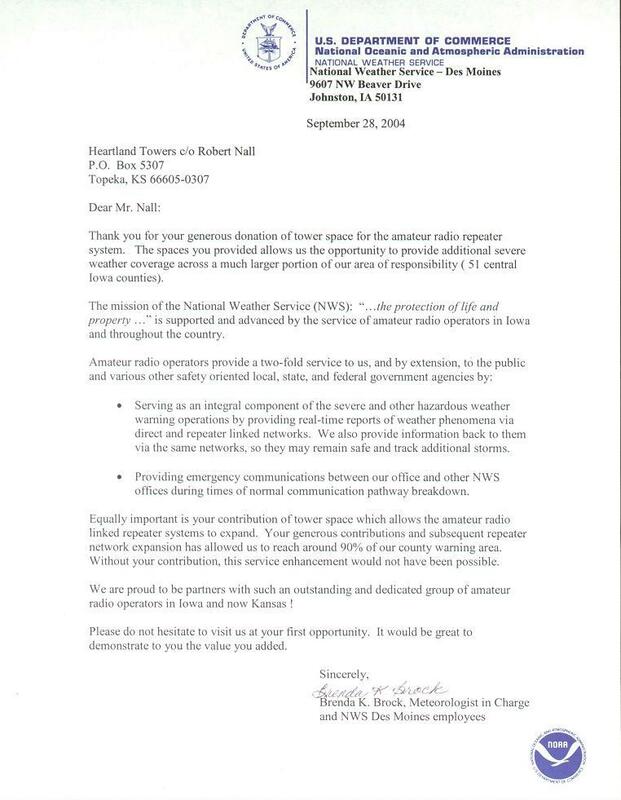 The space you provided allows us the opportunity to provide additional severe weather coverage across a much larger portion of our area of responsibility (51 central Iowa counties)." "Equally important is your contribution of tower space which allows the amateur radio linked repeater to expand. Your generous contributions and subsequent repeater network expansion has allowed us to reach around 90% of our county warning area. 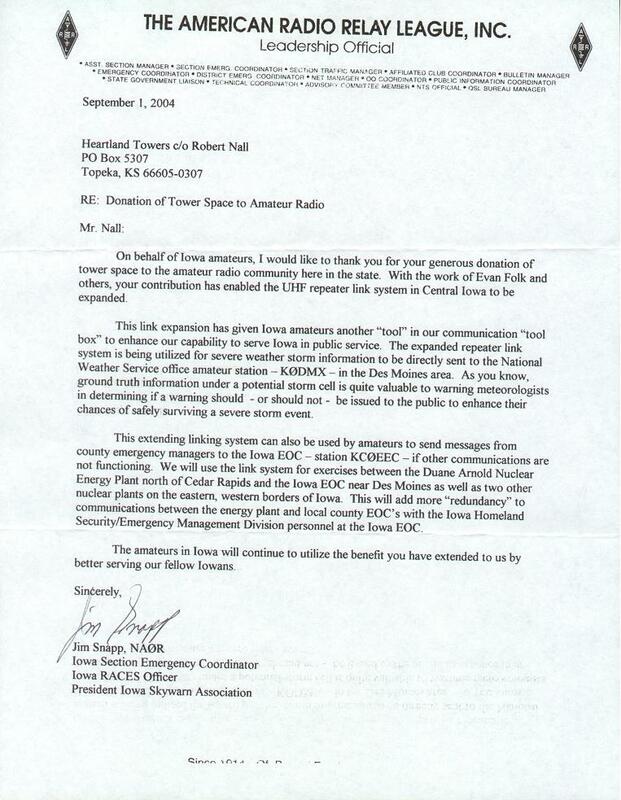 Without your contribution, this service enhancement would not have been possible"
"On behalf of Iowa amateurs, I would like to thank you for your generous donation of tower space to the amateur radio community here in the state. With the work of Evan Folk and others, your contribution has enabled the UHF repeater link system in Central Iowa to be expanded."